To help provide insight into the recent article published in Bioanalysis: Evaluating Lipid Mediator Structural Complexity Using Ion Mobility Spectrometry Combined with Mass Spectrometry, we spoke with author Erin Baker, Senior Research Scientist at Pacific Northwest National Laboratory (WA, USA). Erin explains why she felt this was an important area for bioanalysis and worthy of publication. With 18 years of experience in mass spectrometry, Erin has spent the last 5 years focused on her work in the lipidomic field. 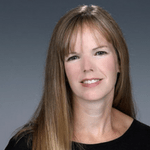 Dr Erin Baker is a bioanalytical chemist with more than 18 years’ experience and over 90 publications utilizing ion mobility spectrometry in conjunction with mass spectrometry (IMS–MS) to study environmental and biological systems. In the last 12 years, she has worked on IMS–MS applications in the field of proteomics, and more recently she optimized IMS–MS metabolomic, glycomic and lipidomic separations. Her research involves the development and evaluation of high-throughput IMS–MS, SPE–IMS–MS and LC–IMS–MS analyses to quickly study numerous samples in a short time period without losing valuable biological information, as well as assessing the number and quality of features detected with IMS–MS for comparison with existing MS platforms. Dr Baker is also presently working with various informatics teams to design and implement software tools that automatically analyze the complex multidimensional SPE–IMS–MS and LC–IMS–MS data. 1. What inspired you to work in lipidomics? The IMS technique I utilize is extremely powerful for separating isomers. About 6 years ago, I noticed the enormous number of lipid isomers that exist due to many lipids having the exact same chemical formula, but different structural arrangements. Therefore, I wanted to evaluate whether IMS could separate the lipid isomers that are often indistinguishable with other analytical techniques. This publication details the IMS structural separations possible for lipid mediators. Since many lipid mediators are isomeric, IMS showed interesting structural trends allowing better identification of the mediators. All of the structural information in this manuscript is also directly transferable to anyone in the scientific community performing these analyses, so we hope the data can aid others in their mediator separations. Find out more about lipidomics in our feature, here. 3. What are the next steps for your research and this area of lipidomics? Due to the great difficulty of fully identifying lipid isomers, we are coupling other techniques with IMS to aid in the evaluation of lipid extracts from complex samples. We recently coupled ozonolysis with our LC–IMS–MS evaluations for the identification of double bond locations, and we are also looking at other ideas for better lipid isomer characterization. 4. Are there any researchers/projects/technologies that you are watching at the moment, and any you think we should be keeping an eye on? Currently, I am very interested in the multidimensional analyses others are using to evaluate and identify specific lipids in their analyses. I am also interested in rapid lipid separations and how they can be performed with more selectivity. 5. Do you have any advice for anyone who may be interested in working in lipidomics? Do not under estimate the number of isomers in each lipid extract. We are seeing numerous peaks for each lipid LC–MS extracted chromatogram (XIC) when we analyze lipids in complex samples. Both lipid mediator and triglyceride spectra are extremely difficult to interpret with some species having 5–6 IMS structural peaks which are not separable by reverse phase LC.